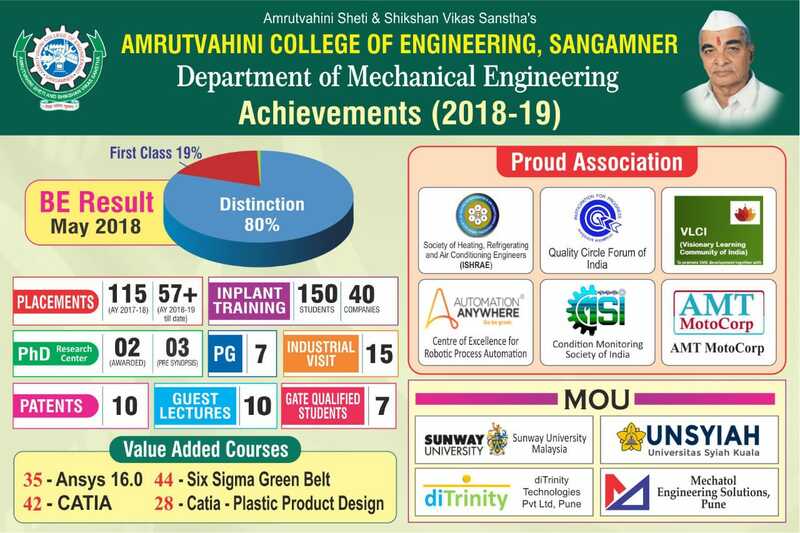 Department of Mechanical Engineering was established in the year 1991 – 1992; the Department has traversed the path of knowledge dissemination and generation as well as delivering over 3000 Mechanical Engineering graduates to the Nation. Over these 26 glorious years, it has carved a niche for itself in the key areas of teaching, research, consultancy, administration and community services. The Department of Mechanical Engineering prioritize the necessary revamping of Mechanical Engineering education, which is driven primarily by dynamics of technological advances and sustainable development and with active involvement of industry, alumni, research organizations and other stakeholders. 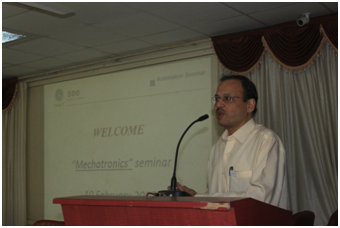 Department offers B. E., M. E. and Ph.D. (Mechanical) Programmes. Department caters to 180 B.E. students, 18 M.E. students and 27 Ph.D. Scholars. Department was first accredited by National Board of Accreditation (NBA), New Delhi in the year 2002 for three years, second in the year 2007 for three years and for two years in 2013. The department has well qualified and experienced staff. We have excellent record of results and placements. Department is enriched with the laboratories with de-facto standards. Laboratories are well equipped with state-of-the-art equipment including software and hardware. 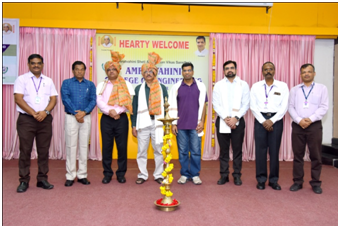 Department focuses on building the industry linkage to provide the exposure to latest technologies through inplant training, workshops, value added courses, industrial visits and expert lectures.The enhancement in core technical competencies and soft skill development, the students are being recruited in reputed Design, manufacturing and ITes firms. 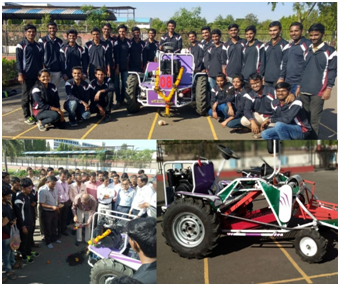 MESA (Mechanical Engineering Students Association) is the student association, which looks into the various co-curricular activities in the department. 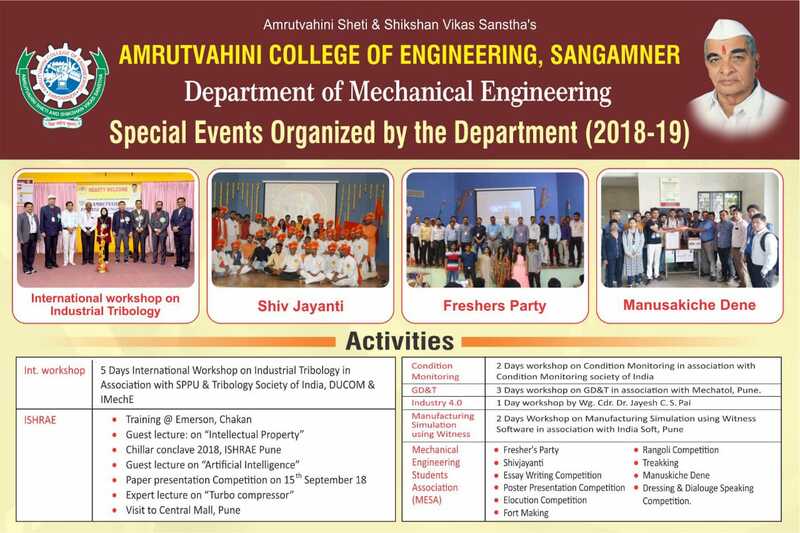 Department also runs student chapters like Society of Automotive Engineers (SAE), Indian Society of Heating Refrigeration and Air conditioning Engineers (ISHRAE) , Institution of Engineers (IEI), ISTE. 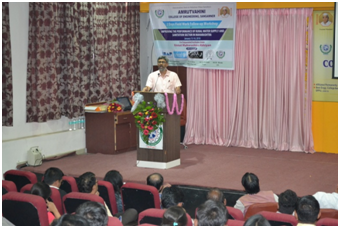 The overall goal of the department is to make brilliant and dynamic students to meet the industry challenges. 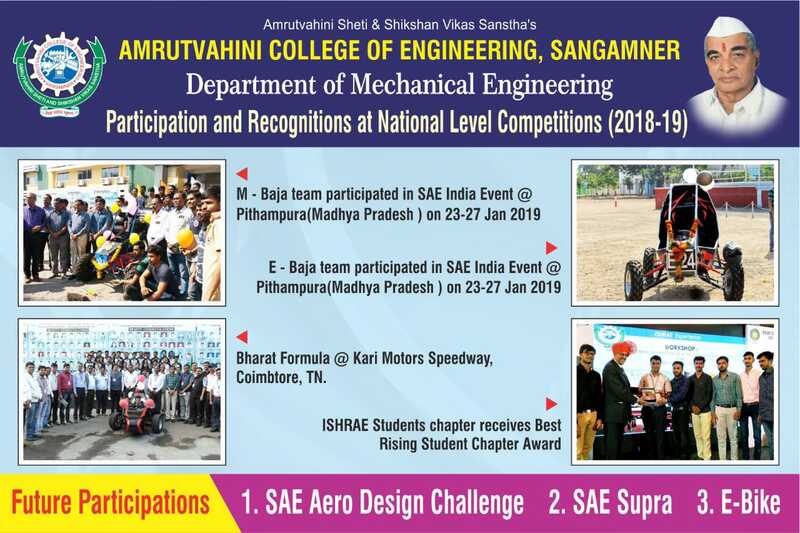 Department also motivate and support the students to participate in various national level competitions like SAE TIFAN, SUPRA, BAJA, Effi-Cycle, Formula Bharat etc. 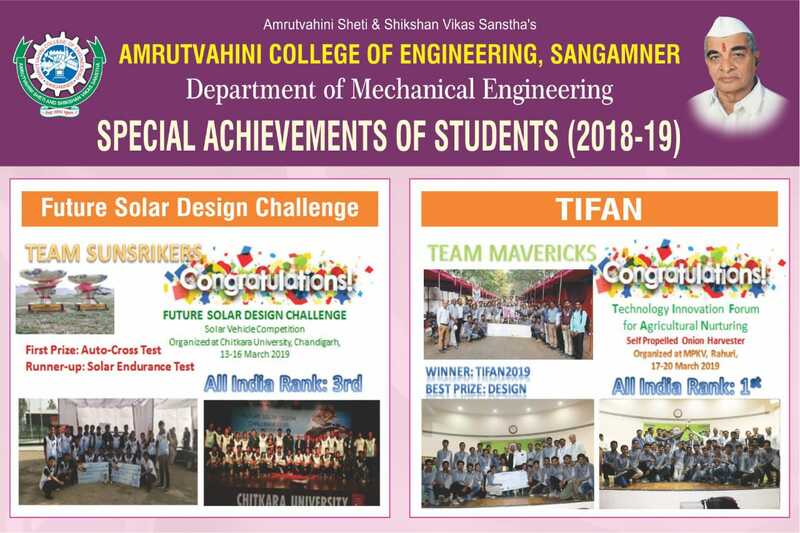 Team MAVERICKS of department has won FIRST prize in SAE TIFAN competition alonwith 3 category prizes (Best Design, Best Innovation and Best Productivity) with total prize money of Rs. 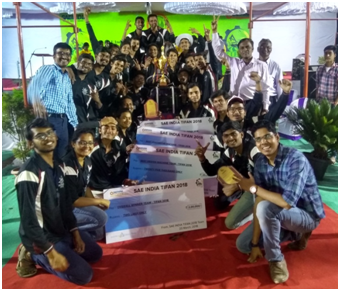 2,75,000/-; Team TITAN won 7th India and Second Maharashtra level prize in SAE BAJA competition. 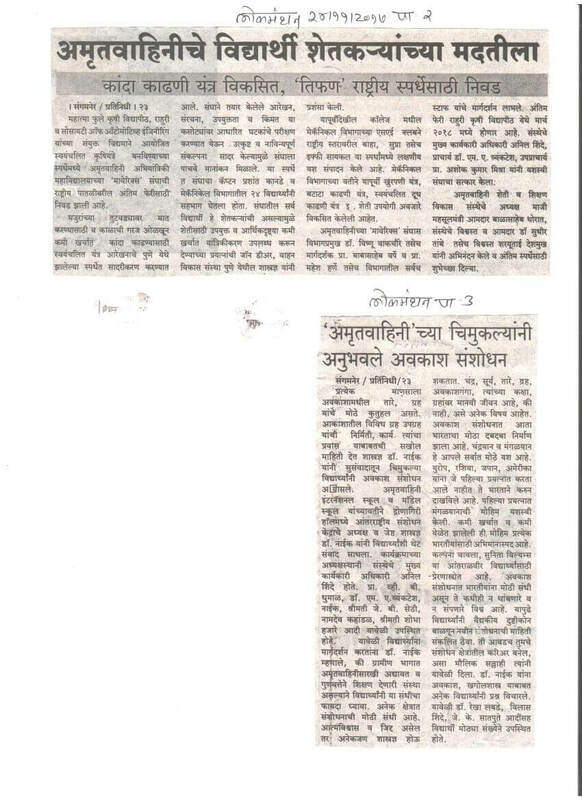 Students of the department are consistently performing very well in GATE exam. 22 students has been selected as Asst. 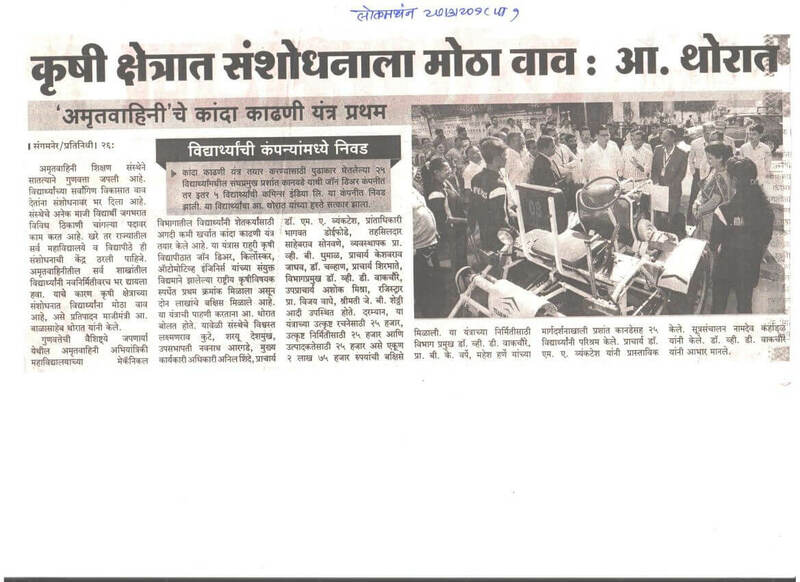 Motor Vehicle Inspector (RTO) through MPSC. 07 PATENTS has been filed. 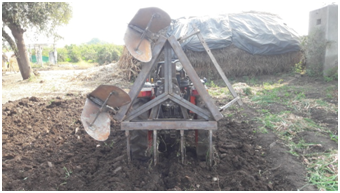 Onion Harvester: SAE TIFAN winner team. 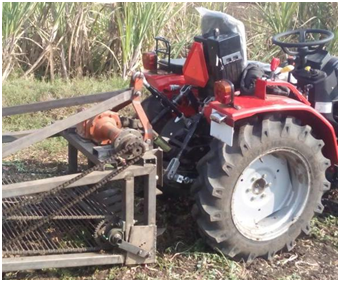 Tractor driven onion Harvester (Patented). Multi-functional Equipment for Agricultural Purpose (patented). 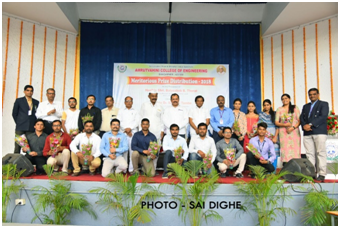 To create opportunities for rural students to become able Mechanical engineers and technocrats through continual excellence in emerging areas of Mechanical engineering education. Our mission is to create self-disciplined, physically fit, mentally robust and morally strong Mechanical engineers and technocrats with high degree of integrity who are capable to meet challenges of ever advancing Mechanical Engineering for the benefit of mankind and nature. We, the faculty and staff, therefore, promise to strive hard and commit ourselves to achieve this objective through a continuous process of learning and appreciation of needs of time. 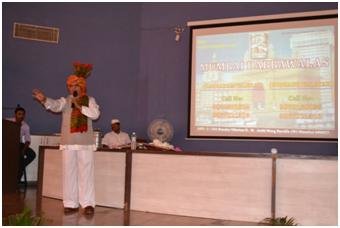 Operations Management Simplified Mr. Subhash Talekar, Mumbai Dabbawala . 2 week AICTE FDP on Competitive Manufacturing Technologies. RWS workshop, CTARA, IIT Mumbai. 5 Days International Workshop on Additive Manufacturing. Area of Specialization: Maintenance Engg. Area of Specialization: Tribology, Tribology, Design Engg. Area of Specialization: Tribology, Design Engg. Area of Specialization: Design Engg. Area of Specialization: Tribology, , Design Engg. 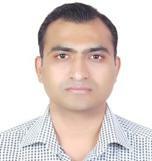 Area of Specialization: Lean /Six Sigma, Reliability Engg. Staircase climbing platform driven by conjugate wheels. Miss. Hase Surabhi Y. A noodle extruder apparatus and a process therof Application No. 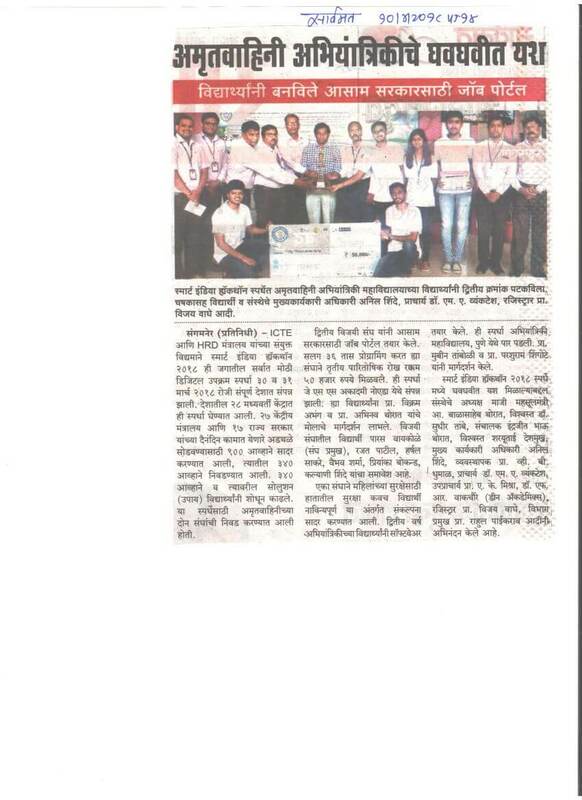 Team MAVERICKS own theFIRST prize in national level SAE TIFAN (Technology Innovation Forum for Agricultural Nurturing) competition held at Mahatma Phule Krishi Vidyapeeth in March 2018. 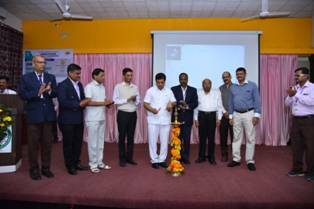 The event was organized in association with John Deere, BKT, Cummins, Mahindra, Agrowin etc. 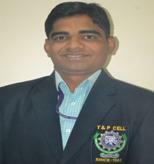 Mr Sagar Jondhale ( 2012 Btach Alumni) is selected as Asst. Commissioner, Sales Tax. 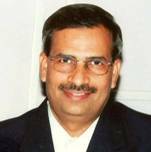 Co-Chair, ASME 2015 Manufacturing Science and Engineering Conference (MSEC2015), June 8-12, 2015, Charlotte, North Carolina, USA. Represented SPPU and Received Second prize in the "Avishkar 2015" State level competition (Post-PG Category), Development of grease as lubricant for heavily loaded slow speed journal bearing of cane mills. 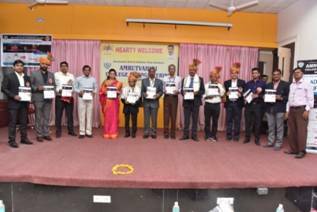 Represented SPPU at state level research competition " Avishkar 2017", effortless bicycle"
LAP LAMBERT Academic Publishing, Germany. Hase D.P., Gadakh V.S. (2018) Sheet Metal Piercing Punch Material Selection UsingComplex Proportional Assessment Method. Seshabhattar S. (eds) Techno-Societal 2016. ICATSA 2016. Springer, Cham.doi.10.1007/978-3-319-53556-2_88. Gadakh V.S. 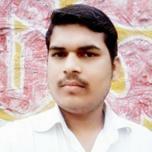 , Shinde V.B., Khemnar N.S., Kumar A. (2018) Application of MOORAMethod for Friction Stir Welding Tool Material Selection. 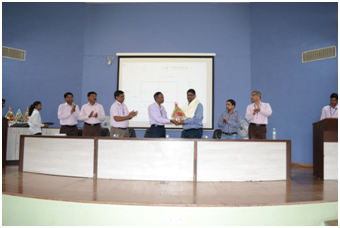 Pawar P., Ronge B.,Balasubramaniam R., Seshabhattar S. (eds) Techno-Societal 2016. ICATSA 2016.Springer, Cham.doi.10.1007/978-3-319-53556-2_86. 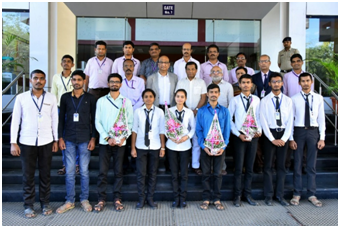 G. S. Pendbhaje, V. S. Aher, A. K. Mishra, V. D. Wakchaure"The Effect of Dimple Density on Tribological Performance of Polyamide (PA66) Composites"
V. S. Gadakh , A. Kumar, G. J. Vikhe Patil, "Analytical modeling of FSW process usingdifferent pin profiles"
Welding Journal, 2015; Vol. 93, 115s-124s. 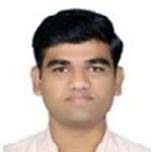 V. S. Gadakh , A. Kumar, FSW tool design using TRIZ and parameter optimization usingGrey Relational Analysis. S.T.Gadakh, "A Software Tool to Find Operating Temperature of Hydrodynamic Journal Bearing Considering Effect of Various Bearing Design Parameters"
E.T. Bayas, K.D. Dagale, "Coupled field analysis of disc brake rotor"
K. K. Dighe, "Fatigue Life Analysis on Weld Angles"
M.B.Shirke, "Static and Fatigue Behavior of Steel and Glass Epoxy Composite Leaf Spring of Light Motor Vehicle"
Proc. 2ndInt. Conf. Advances in Mech. Engg. 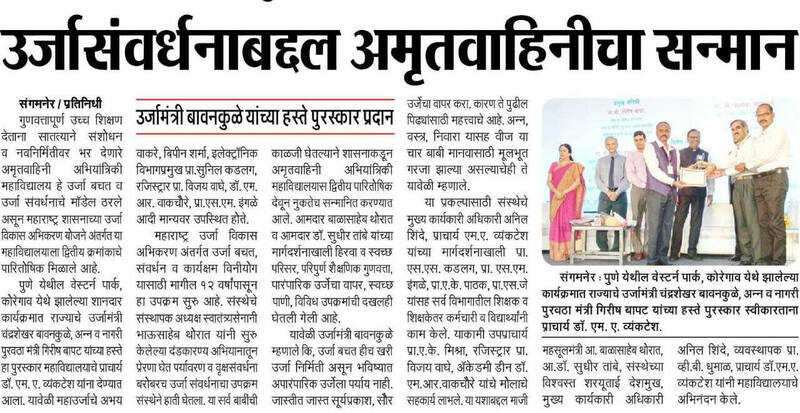 (ICAME-2016),AVCOE, Sangamner. 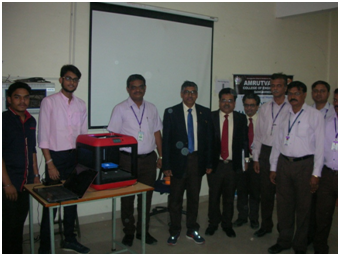 A.S. Shinde, E.T.Bayas, K.D.Dagale, K. B. Deshmukh, "Thermo Structural Analysis of Disc Brake Rotor"
A.B. Aher, S.C.Fargade, "Review on Effects of Filler Materials on the Tribological Behavior of PTFE Composites"
G.B.Jambukar, P.B.Wakchaure, R.U.Kadlag, "Sliding Wear Behavior of Aluminium Silicon Tin Alloys Using Taguchi Method under Lubrication Condition"
P.N.Nagare, G.J.Vikhe Patil, "A Comparative Study on Numerical Solution of Reynolds Equation of Journal Bearing"
R.U.Kadlag, "Tractor driven onion Harvester "
Proc. Int. Conf. 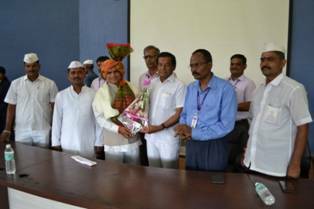 on Materials, Manufacturing and Design, 2016, at Dr. BATU, Lonere, Raigad, Dec.20-21, 2016. 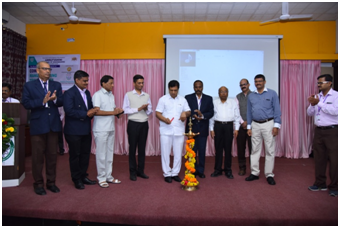 V. S. Gadakh , V. B. Shinde, N. S. Khemnar, A. Kumar, "Application of MOORA method for friction stir welding tool material selection"
V. S. Gadakh , P. N. Wakchaure, A. Kumar, G. J. Vikhe Patil, "Effect of process parameters on mechanical properties and microstructure of friction stir welded AA 2014 Aluminium alloy using Taguchi Method". ASME 2015 Manufacturing Science and Engineering Conference (MSEC2015), June 8-12, 2015, Charlotte, North Carolina, USA. Procedia Manufacturing , 20,487-492, 2018. 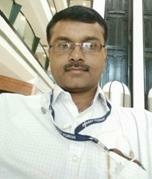 P.N.Nagare, G.J.Vikhe Patil, A Comparative study on Numerical solution of Reynolds Equation of Journal Bearing. International Engineering Research Journal, 2543-2546, 2015. 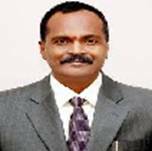 P. N. Nagare, G.B.Jejurkar, G.J.Vikhe Patil "A Taguchi Approach on Influence of Extreme Pressure Additive on Performance of Lithium Based Grease"
International Engineering Research Journal, 5884-5889, 2015. 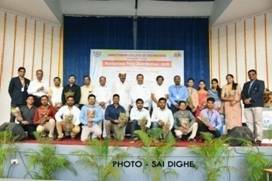 Won 3 category prizes and overall First prize in TIFAN (Technology Innovation Forum for Agricultural Nurturing) is National level Competition organized by SAE in association with John Deere, Kirloskar, Agro-1(Sakal), &MPKV, Rahuri. Secured overall 30thRank among the 103 numbers of teams all over Indiain Effi-cycle 2016 at Lovely Professional University (LPU), Jalandar, Panjab during 11- 16Oct 2016. 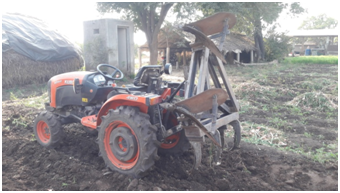 Secured 1st rank in project competition entitled, "Tractor operated onion harvestor"
Secured 1st rank in project competition entitled, "Wood apple as an alternative fuel to coal"
Participated in 7th Bhartiya Chhatra Sansad organized by MIT school of Government, Pune, 17-19 Jan 2017. Mr. Jadhav Akshay U., Mr. Aghav Akshay A.
received 3rd Prize in "Spot poetry competition" of "MEDHA- 2016"
Received 1stPrize of Rs. 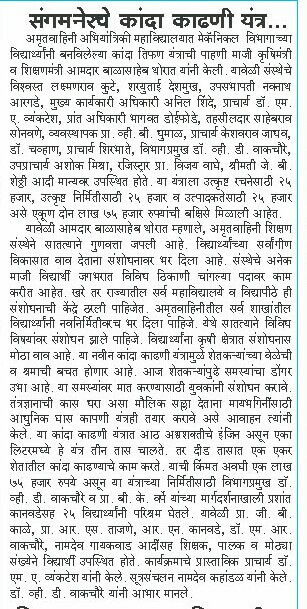 11000/- in "Musical Drama Competition" in "MEDHA-2016"
S. M. B. T Sugar factory, Sangamner. 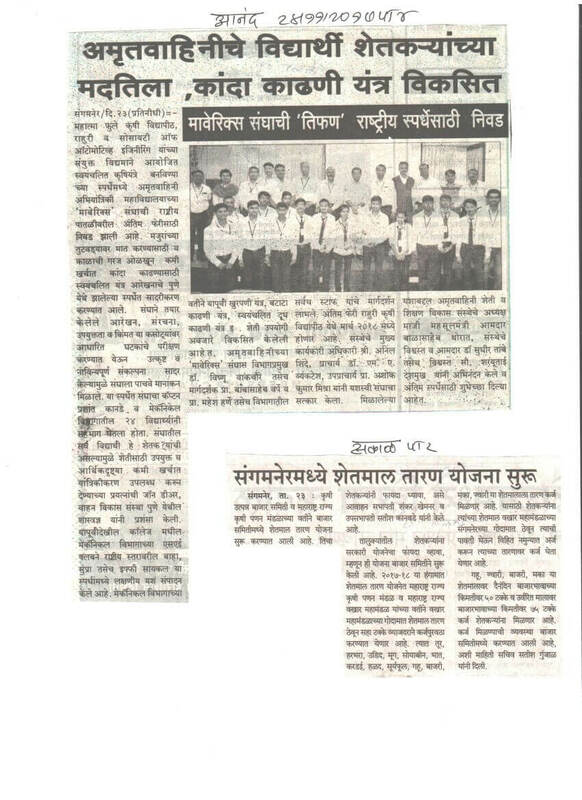 As a part of Skill Development. Shwetas World of Foreign &IndianLanguages. Swetas World of Foreign and Indian Languages. 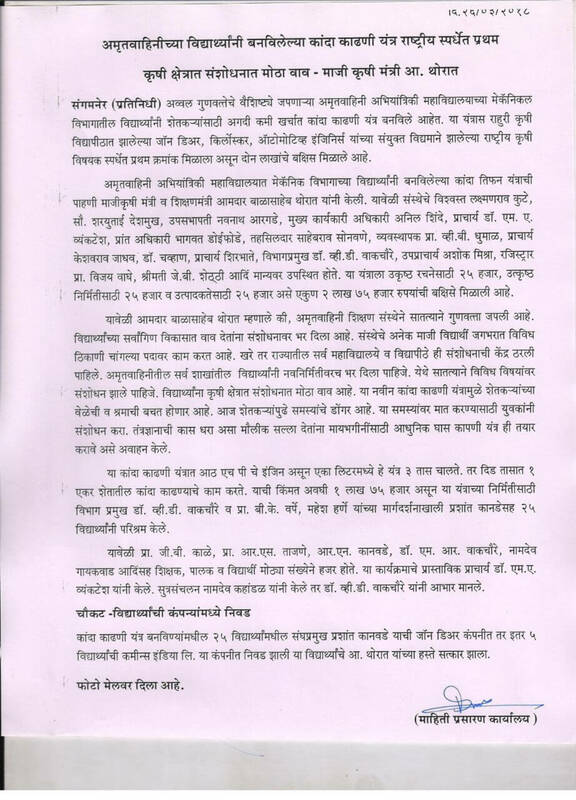 Mr. Prasanna Shevare, Mr. Apurva Godbole. 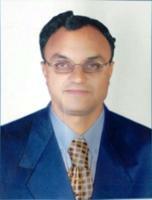 Director Drona Aviation Pvt. Ltd.
PG, Ph.D. students and Faculties of department. Expectations of Industries from fresh Engg. Introduction to Nuclear energy related career avenues. (Asst. Manager- Operations) SEED Infotech Ltd., Pune. Demo lecture on "Fatigue Testing m/c." 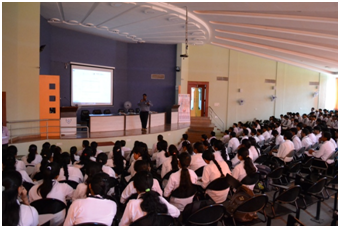 "Prevention of Thyroid &Hormonal Imbalance"
Teaching and Non-Teaching ladies staff members. AICTE sponsored 2- Week Faculty Development Program on “Competitive Manufacturing Technologies"
45 eminent resource persons from IITs, NITs, BITS and industries like IBM, M&M, Cognizent etc. Participated and own 1st prize. 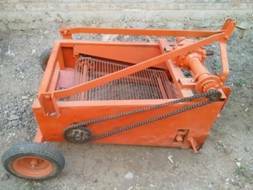 (50 nos) from the deptt. 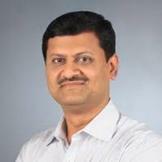 Chief Technological Officer, India Soft. 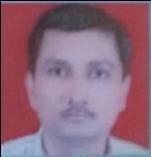 Director, Mantra Info CAD Solution. 2ndInt.Conf. on Mater. 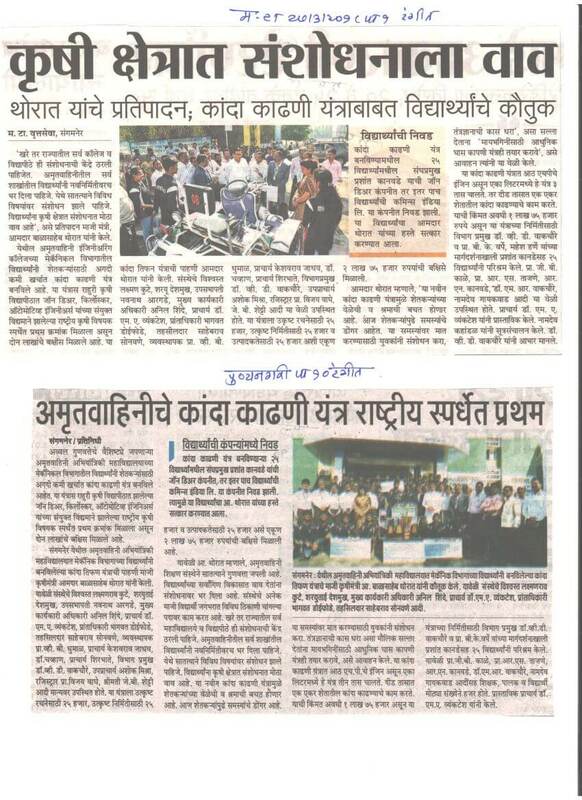 Mfg.and Design Engg. Short term QIP course on, "Laser: Fundamental & applications"
Prof. S.T.Gadakh and 07 others from the deptt. 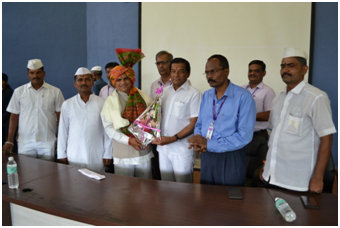 Government CoE, Awasari, Pune . Learn about various Manufacturing. 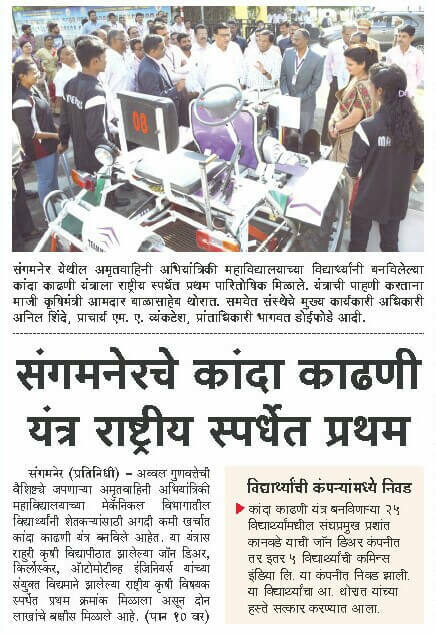 Testing machines, soft skills, radar system, navigation system, etc. 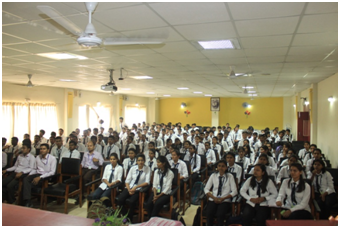 Students became aware about latest technology in IC Engine and design filed. 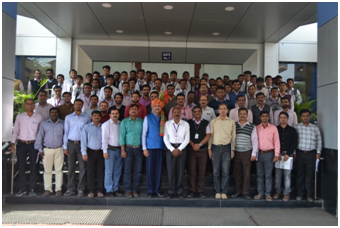 2- Week Faculty Development Program on “Competitive Manufacturing Technologies"
1. To mould the budding engineers for the successful professional career in Indian and multinational Companies, consulting firms and government organizations. 2. To provide students with a sound foundation in the mathematical, scientific and engineering fundamentals necessary to formulate, solve and analyze engineering problems and to prepare them for graduate studies. 3. To develop the ability among students to synthesize data and apply technical concepts for product design, manufacturing and entire value chain. 4. To provide opportunity for students to work as part of teams on multidisciplinary projects to encourage the leadership and teamwork skills. 5. To impart skills required for professional and ethical management of people, processes & systems, locally as well as globally. 6. To promote the awareness of the life-long learning and techno-entrepreneurship. 7. To motivate and ensure the multifaceted development of students through proper exposure, opportunities and training. 1. Graduates will demonstrate application of fundamental knowledge in mathematics, science and Mechanical engineering. 2. Graduates will demonstrate the ability to identify, formulate and solve mechanical engineering problems using research based knowledge and research methods. 3. 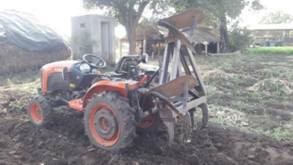 Graduates will have the confidence to apply engineering solution in rural based agricultural problems and demonstrate the knowledge of need for sustainable development. 4. Graduates will be familiar with Modelling, ANSYS and MATLAB software tools to analyze mechanical engineering problems and clearly understand the value of lifelong learning to update knowledge of modern software tools. 5. Graduate will be able to apply contextual knowledge to assess societal, health, Safety, legal and cultural issues as a professional and ethical responsibility. 6. Graduate will demonstrate knowledge and understanding of the engineering and management principles and apply these to work as a member or leader of multidisciplinary design team. 1. Engineering Knowledge: Graduates will demonstrate application of fundamental knowledge in mathematics, science and engineering. 2. Problem Analysis: Graduate will demonstrate the ability to identify, formulate, research literature and analyze complex engineering problems. 3. Design/Development of Solutions: Graduates will have the confidence to apply engineering solutions in socio-technical contexts by demonstrating awareness of contemporary issues. 4. Conduct Investigation of Complex Problems: Graduates will demonstrate the ability to identify, formulate and solve mechanical engineering problems using research based knowledge and research methods. 5. Modern Tool Usage: Graduates will be familiar with modern engineering software tools and equipment to analyze engineering problems. 6. The engineer and Society: Graduate will be able to apply contextual knowledge to assess societal, health, Safety, legal and cultural issues. 7. Environment and Sustainability: Graduate will understand the impact of the professional engineering solutions in societal and environmental contexts and demonstrate the knowledge of need for sustainable development. 8. Ethics: Graduates will demonstrate an understanding of their professional and ethical responsibilities. 9. Individual and Team Work: Graduates will demonstrate the ability to function on engineering task as well as on multidisciplinary design teams. 10. Communication: Graduates will be able to communicate effectively in both verbal and written forms. 11. Project Management and Finance: Graduate will demonstrate knowledge and understanding of the engineering and management principles and apply these to work as a member or leader of team. 12. Life-long learning: Graduates should be capable of self-education and clearly understand the value of lifelong learning. 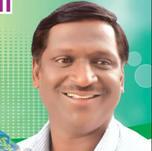 16 Shirode Hyundai, Sangamner Mr. Hase Kiran C.